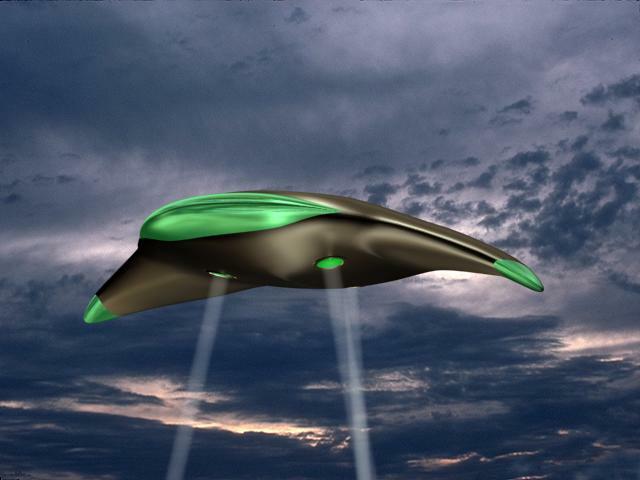 LITTLETON VS THE WANDERLING: Battle of Los Angeles or UFO Over L.A.? 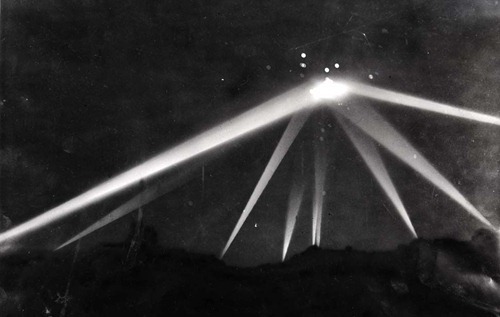 BATTLE OF LOS ANGELES OR UFO OVER L.A.? C. Scott Littleton (1933 - 2010), who I often cite in my works and always credit, is usually considered by historians, researchers and UFOlogists as the most credible, bottom line authority on the so-called Battle of Los Angeles, a "battle" wherein an 800 foot Zeppelin-size airborne object of unknown origin escaped unscathed after hours in the sky above the Los Angeles area and being pounded a good part of the night by over 1440 anti-aircraft rounds early in World War II. There are hundreds of Littleton's eyewitness accounts of the Battle that show up in books, the internet and in print articles. 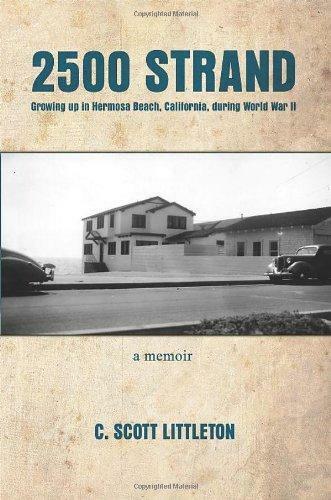 Nearly all of them incorporate comments of MY eyewitness experience of the same event, and of which, for example, even show up in his own hardback book, researched and authored by himself, the highly touted, and rightly so, memoir of Littleton growing up in Hermosa Beach circa 1940-1950 titled 2500 Strand. Littleton and I lived in the same general area on and off at the sametime, with both having gone to Pier Avenue School in Hermosa Beach as well as attending the same high school and community college and being in the Army, albeit with me following several footsteps behind most of the way because of a couple of years age difference. We are the only two "eyewitnesses" of any note that have come forward with strong narratives of the event. His reports come from his fully unobstructed broadside view along the coast from his perch along the Strand in Hermosa Beach and my underside and end view of the object as it turned inland and crossed directly above my house in Redondo Beach at a nearly dirt-dragging low altitude. "However, we can now tentatively pick it up over Redondo. Another possible eyewitness, who claims to have lived in Redondo Beach has recently come to my attention. He --- I've yet to discover his name --- says that he recalls watching the craft descend as it passed slowly over his family home on Irena Street (actually Lucia Street), which is about a mile back from the ocean. The man also claims that his father at first thought it was coming in for a landing, perhaps at the nearby Lomita airstrip, and that the latter and several neighbors jumped into a pickup truck and tried to follow the object. But apparently it soon regained altitude and passed over the Palos Verdes Hills to the south (actually between Palos Verdes on the west and Signal Hill on the east). He also recalls noting that the 'stern' of the craft was rectangular, with rounded edges, ands very thick. "While this account, gleaned from the Internet, is extremely shaky, and there are reasons to question some other assertions made by the same 'eyewitness' the fact that my mother and I lost sight of the object as it descended in the direction of Redondo Beach does lend some credence to this report." Notice such things as "possible eyewitness," "claims to have lived in Redondo Beach," "He," "I've yet to discover his name," "The man also claims that his father," --- I mean, the man, and claims that his father? No mention that the "possible eyewitness" was me, the Wanderling. No link to me or any of my works he quoted from nor mention of same. So too, even though I have gone back into my pages several times and strengthened areas that might be construed as shaky, including additional sources, clearer explanations, and backup material referenced from such as found in THE BATTLE OF LOS ANGELES: The Radar Dilemma and interviews with eyewitnesses like Albert Nozaki --- and even submitted some of those changes to Littleton on and off over time, including requests for critiques, he never responded nor changed the contents of his works to more closely resemble the corrections. As for any "claims," shaky or otherwise, about me living in Redondo Beach at the time of the incident, please see World War II Comes To Redondo. Lack of corrections or responses not at all, sadly for everybody, Littleton passed November 2010. Needless to say my works have always been better because of him. "The object that triggered the air raid alarm had drawn 1430 rounds of ammunition from the coast artillery, to no effect. When it moved at all, the object had proceeded at a leisurely pace over the coastal cities between Santa Monica and Long Beach, taking about 30 minutes of actual flight time to move 20 miles; then it disappeared from view." "It's recently been suggested, on the basis of what in my opinion is some pretty shaky evidence that the craft itself ultimately crashed in the ocean off San Diego and was recovered by Navy divers. "This might possibly explain its apparent descent over Redondo Beach. Perhaps the object had in fact been wounded by the intense anti-aircraft fire and, after nearly crashing into Redondo Beach, eventually lost control, and went into the sea. Yet another recent assertion, equally shaky, is that it landed more or less intact on San Clemente Island, in those days a Navy bombing range, and was commandeered by either the Navy or the Marine Corps." "It should be noted for the reader that since this article was put online several years ago, many people have taken my original idea of the L.A. object landing on San Clemente Island and ran with it --- and done so nearly always without citing sources or giving credit. However, the possibility for the potential landing at San Clemente was extrapolated directly from MY uncle through personal conversations with Dr. La Paz." "He (the marine archaeologist) told me although he was too young to have participated in any original dive related to the object --- actually he had not even been born yet --- he had met a couple of old timers, hard hat guys, who had. They told him they participated in a retrieval effort of a highly secret nature off San Clemente Island a few months after the start of the war --- not between the coast and the island proper, but on the east open ocean side. They told Jack, to their knowledge nothing ever came of it and nothing of any size was found or located, although over the years they heard rumors to the contrary. For one thing, apparently whatever they were looking for sonar was not able to detect it. So too, they had been diving during the day which was fairly typical, doing so in conjunction with the civilian contracted Navy salvage vessel ARS-1 Viking. However, the regular daytime teams were pulled and sent back while a so-called specially trained night diving crew was brought in moving to the deep open V-shaped trench directly off the southeast tip of the island. What they found, if anything, was not known. " "(D)espite the Redondo Beach man's atypical --- and perhaps skewed ---recollection ..."
"(W)hat we (Littleton) saw, together with the majority of the descriptions Frank (i.e., Frank Warren, Littleton's collaborator on the subject and editor of the UFO Chronicles) and I have collected, as well as the object caught in the Times reporter photograph, all jibe closely with literally tens of thousands of eyewitness accounts of UFOs in this country and elsewhere that have come to light in the course of the last six decades." Littleton was talking about the "typical" saucer or disc-like objects with humps on top, of which the Time's reporters photograph seems to show, and as discussed below, in his own quotes he himself did not see. However, the UFO over L.A. was far from typical. It was huge for one thing. More people reported it was Zeppelin size than anything else. Even Warren himself, along with Littleton's head-nodding agreement on the fact, using what seems to be sort of triangulation, figured it was at a minimum at least 800 feet long. Very few of the "literally tens of thousands of eyewitness accounts of UFOs in this country and elsewhere that have come to light in the course of the last six decades" have claimed to have seen UFOs anywhere near that size --- of those that have, the two most noted are mathematician and astronomer Dr. Linclon La Paz who observed an object 235 feet long and 100 feet thick near Fort Sumner, New Mexico within days following the Roswell Incident and that of three men, one of which was famed desert rat Walt Bickel, who reported seeing a huge, almost duplicate to the L.A. Zeppelin-size object over his desert compound in the 1980s. "(M)y mother and I failed to spot either the hump or the possibly reflective orange glow. Indeed, I strongly suspect that what we saw was the object's ventral, or 'belly' side, which at that altitude was simply glowing white. In any case, as the Times image clearly indicates, the anti-aircraft barrage had begun, and the searchlights were following it steadily." And I think that is exactly what happened. 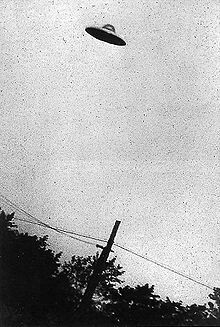 Littleton saw the object flying horizontal to the surface with the whole of the belly facing him, NOT edge on or from underneath while it was thousands of feet up, but tipped on its side 90 degrees as it slowly crept along the surf line. The top was hidden from view from his vantage point because it was on the other side faced away from him. Top hump or no top hump he would not have been able to have seen it. Littleton has written, and I agree, no contemporary aircraft, let alone any World War II planes, could have withstood the barrage of shells that was thrown against it. He has postulated the object may have had some sort of force field surrounding it which deflected the shells causing them to explode harmlessly. "(He, Nozaki) was just under the edge of the object as it went over him with the center off to his left, continuing its turn and eventually disappearing in the southern night sky while all the time gaining altitude. It was huge, dark, very long and wide with no lights or signs of windows. Although it did not have protruding wings like an airplane, the object's outside edges ominously curved down." Nozaki, who later went on to be an Oscar nominated art director, apparently drawing upon his his experiences in the field that night in 1942, designed the terrifying Martian flying machines seen in the 1953 movie War of the Worlds. In a personal one-on-one interview Nozaki said he incorporated some of the ominous-like aspects of the object he saw such as the curving down contours into his 'War of the Worlds' craft wanting to capture some of the fear he felt as the real-life dark object came toward him --- as though he was going to be clutched up by it. So too, how it mysteriously remained aloft, apparently with some sort of technology or power we did not have. In Wells' novel the machines were held upward by three robot like legs. 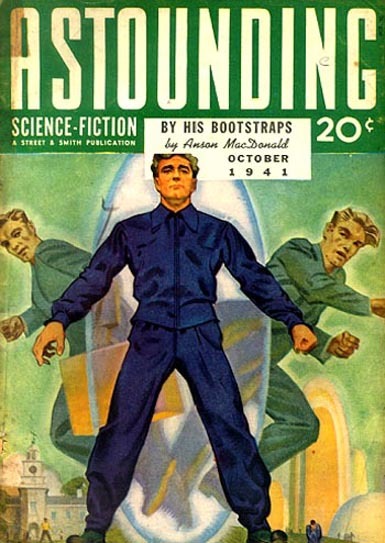 In the movie he tried to make it seem they were being held off the ground and "walking" by three invisible force-field legs. That is why they appeared to tip to one side and fall over when they began crashing. Littleton himself never saw the object in a side view or directly overhead, only with the bottom facing flat towards him --- so any concave curvature of the bottom was unclear or washed out by the searchlights. After it crossed over me with the bottom facing down and me looking straight up at it, it began to angle upward to clear the oil derricks behind my house, and because of the angle I was not able to make out any sort of a hump on top either. 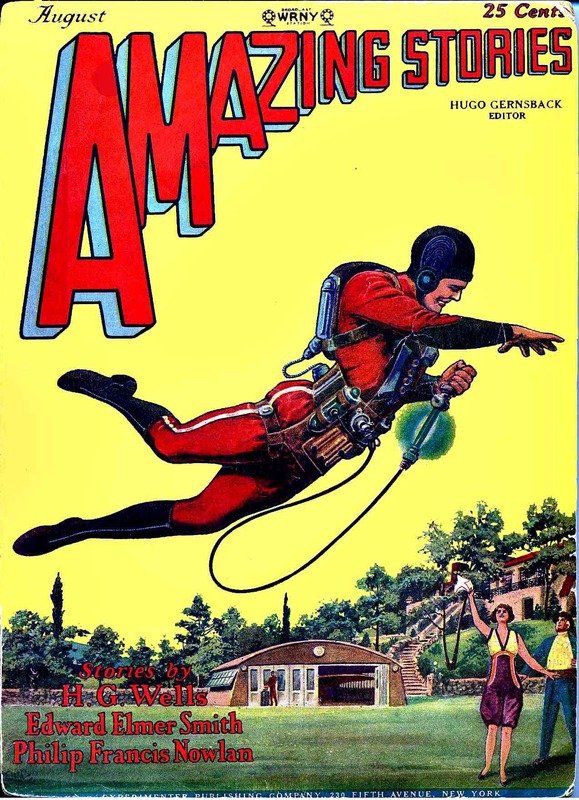 In February of 1942, like Littleton, a was a kid myself, albeit somewhat younger than him. I was living with my two brothers and my parents in a little house on the 300 block of South Lucia Street in Redondo Beach, California while he lived a few miles north on the Strand in Hermosa Beach. Most people would agree that because of Littleton being slightly older than me at the time he might have had an advantage in remembering what he saw that night that traditionally someone my age I might not have. However, I was never the traditional kid. I remember a lot of things, up to and well before that period of time in my life. For example, my mother nursing my brother who was three years younger than me. Seeing barrage balloons floating in the sky tethered to the ground over the shipyards in Terminal Island where my father worked. 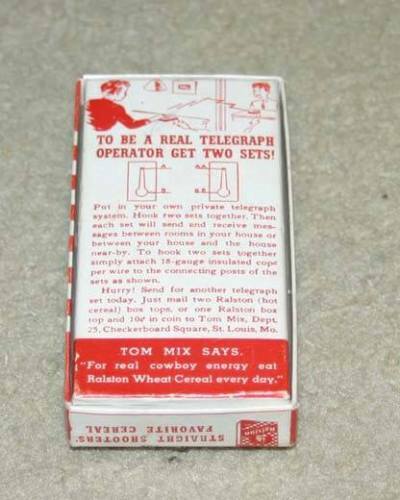 Learning to send and receive Morse code before I could barely even read using a box top offer that came out months ahead of the war called the Tom Mix Straight Shooters Telegraph Set the old man who lived next door owned. 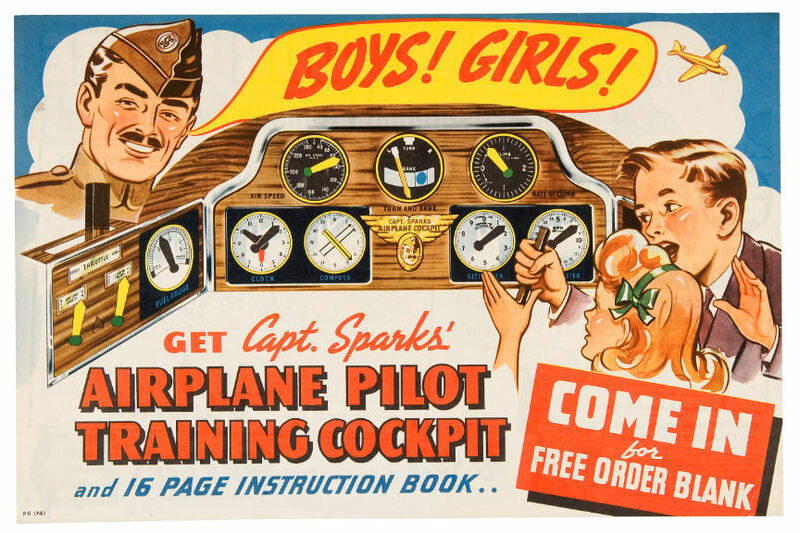 Because metal was not available for toys during wartime, the life size cardboard toy fighter plane-type cockpit --- colored on one side with dials and printed only in black and white on the backside --- with a movable square cardboard joystick called Capt. Sparks Airplane Pilot Cockpit the girl next door owned. 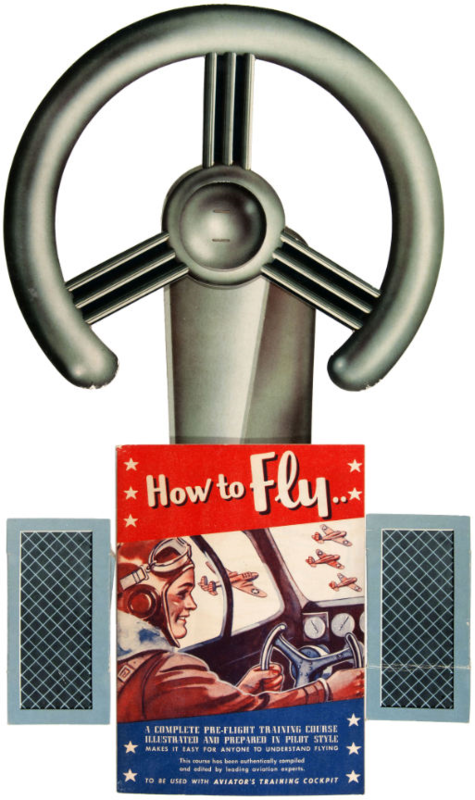 As far as Littleton and what I can or cannot remember relative to my ability to remember or not because of my youth or young age at the time of the fly-over, a major key here is my total recall and remembrance of the square joystick as opposed to the circular or round steering wheel and when the square stick version first became available. Littleton's book 2500 STRAND, or as otherwise linked to. Go to Amazon.com. Click search inside book. In the window type: Notes to Chapter Four 42. After the object passed directly in front of Littleton's house along the Strand in Hermosa Beach, albeit some distance off and above the surfline, he observed it turn inland a couple of miles south of him over Redondo Beach. The object had apparently skirted the surfline after coming out of an easterly direction somewhere around El Segundo continuing south toward and beyond Hermosa Beach. Just as it passed the old Edison steam plant in Redondo Beach, according to witnesses I spoke to myself, rather than continue south around or past Palos Verdes peninsula, it turned diagonally inland headed in a south southeast direction. That diagonal turn inland just past the Edison plant put the object on a direct path right over the top of the Happy Hour Cafe at 400 Strand and owned by the infamous Fifie Malouf. From there in was on a direct route right over my childhood home on South Lucia. But I was not the only one whose house it crossed over. In high school, before I got my first car, and long before I ever thought of writing anything about the Battle of Los Angeles, my buddies and I used to stop at a mom and pop market for cokes and penny candy on the way home from school. The market was not really "mom and pop" per se' as it was actually owned and run by a father and son team named Edwards who had lived in the neighborhood for years. My brother and I used to cut the grass of many homes in the area on weekends and during the summer, and school or not, we always stopped by the little market to get snacks and drinks. They would even let us run a tab if we were short of cash. The senior Edwards, who collected coins and had a complete set of Lincoln pennies himself, encouraged all the kids who came into the market on a regular basis to start a penny collection, which my brother and I did. Since Edwards had access to lots of change he used to save piles of pennies for any kid starting a collection to sort through for any they might need or wanted to upgrade to. All of us, of course, were always hoping to find a 1909 S-VDB or a 1943 copper penny. The younger Edwards, overhearing us kids talking about the lack of 1943 copper pennies one day enlightened us with wartime shortages and such. A couple of local men who came into the store joined in and soon the topic turned to the Battle of Los Angeles. The younger Edwards was around 20 years younger than his dad, and was himself a grown man, married with a family. He grew up in Redondo Beach and lived in a house on Juanita Avenue almost on the top of the crest of the Garnet Street hill. He was probably in his early 30s or so in 1942 when the object crossed right over his house. As he told it he was awakened in the darkened pre-dawn hours by what he thought was the sound of gunfire. Then the house began to rattle, then shudder, causing a few things to fall off the shelves as though a bulldozer or a freight train had gone by right out front of the house on the sidewalk or something. He ran outside just barely catching a glimpse of what he said looked like the dark black hull of a "flying ship" cresting over and going down the hill toward Torrance Boulevard. He raced inside, threw on a pair of shoes and a jacket over his pajamas and ran out to the top of the hill thinking all along that whatever it was crashed into the houses on Lucia Street or into the oil fields beyond. When he got to the top of the hill none of the houses were destroyed, nothing was on fire, and there was no sign of the object. I recently received a credible email from a reader of my works who now lives in Arkansas or Oklahoma who lived in Redondo Beach as a young boy at the time of the Battle of Los Angeles. He lived with his mom on the 200 block of South Guadalupe Avenue near where it crosses Garnet Street --- only a few blocks down the hill due west from where the younger Edwards lived. If you remember, Edwards was awakened by what he thought was gunfire. The mom of my emailer woke him up and got him out of the house because rounds of gunfire were whizzing right across their front yard, tracking toward some airborne object just north of them that was coming up from the beach. His mother had gone outside to see what all the commotion was and saw the object darkly shadowed on and off from behind apparently by distant searchlights trying to find it. By the time the emailer got outside the shooting had stopped and whatever they were trying to hit had already crested east of him over the hill so he never saw it. The interesting part is that years before when the younger Edwards and the men were talking about the Battle of Los Angeles there was a boy with one of the men he was talking to. The boy, who we did not know, had come over to the end of the counter where we were sorting pennies and told us he was from Hollywood Riviera and when he was a kid they had an anti-aircraft gun mounted in their front yard. He said that in February of 1942, a couple of days after his 7th birthday, "the Army was firing it north up the beach toward Redondo all night long." The point past the Edison steam plant where the object turned inland toward the southeast, the ground generally slopes up from sea level at the beach to around 150 feet within a mile or so. The object must have already been flying at or near that height as it did not seem to need to change altitude much as it approached the level of the top of the hill. It was clearly exposed to ground fire in the open air broadside from both the north and south before it began hugging the rooftops of the houses built along the higher level ground. It was out of range of anything from the north and to the south, the Hollywood Riveria battery was almost two miles away. That did not stop it from opening up on the object for the short time it had it in profile. It just was not effective, the rounds were falling all over the place before and beyond its path. It was attested to by the emailer going around the next day with a couple of buddies picking up pieces of shrapnel in various far-flung parts of the neighborhood. One of the first times the Littleton quote so cited referencing me showed up online was dated Thursday, December 07, 2006 in UFO CHRONICLES under the title "EXCLUSIVE: THE BATTLE OF LOS ANGELES - Part II." It has appeared on and off since then basically in the same format the last being, again in UFO CHRONICLES, dated March 01, 2015 under the title "Eyewitness Account of The Battle of Los Angeles (Pt 2) 73nd Anniversary." Now, while it is true going into and changing the original works of Littleton is not advocated, what would be appropriate would we an addendum-like update with what I have presented in the main text above --- after all 2006 to 2015 is a long time with the same not particularly valid information being repeated. "(R)ecalls that it descended as it passed slowly over his family home. His father at first thought it was coming in for a landing, perhaps at the nearby Lomita airstrip, and he and several neighbors jumped into a car and tried to follow the object. But it soon regained altitude and passed over the hills to the south. He also claims that the 'stern' of the craft was rectangular, with rounded edges, and very thick." The Happy Hour Cafe was located on the beach-level corner of one of the apartments owned by Malouf, along with several others, at 300-400 The Strand, Redondo Beach --- between the Edison steamplant and the Redondo pier --- the exact place the object is said to have flown over (none of the buildings in question along the Strand or that portion of the Strand exits today, first wiped out by powerful storms in 1953, and later to be torn out for redevelopment). "According to Pleistocene bird specialist Tommy Tyrberg, a Teratornis fossil preserved in a dry desert cave could have cartilage and feathers. 'Even a wing of Gymnogyps (californianus) amplus, the large Pleistocene subspecies of the California condor, could be described as having man-sized bones. Remains of this bird have been found in at least six New Mexico caves.' Several very well-preserved Teratornis merriami remains have also been discovered in Dry Cave, Eddy County, and other caves in southern New Mexico, and teratorn skeletons have turned up in southern California, Nevada, Oregon, and Florida. A Native American fossil story that circulated on the Internet in 2002 claimed that a black-and-white feather, nearly sixty inches long with a quill the diameter of a stick of blackboard chalk, was made into an amulet by an old shaman in southern New Mexico. Whether or not that story is true, a feather of that size could be plucked from the remains of a mummified teratorn in a dry cave." Notice the author writes "(A) fossil story that circulated on the Internet in 2002 claimed that a black-and-white feather, nearly sixty inches long with a quill the diameter of a stick of blackboard chalk, was made into an amulet by an old shaman in southern New Mexico." The author did not cite me as the author or the source, only that it was an internet story, then goes on to say "Whether or not that story is true," with no attempt to contact me and substantiate the accuracy of the story. Even though people seem to like my stuff, it also seems, and even more so, that many get a little uneasy refering back to my works as the source, or to me, the Wanderling, specifically, as the author of any given work. It is my feeling it has something to do with what is found in The Last American Darshan and most certainly so, Dark Luminosity. However, the content of those two sites notwithstanding, what I present in the fully documented, backed-up, and footnoted work of mine titled The Code Maker, The Zen Maker is the one that knocks the socks off almost everybody. It's almost as though I have the Ebola virus or some other equally contagious disease. Now while it is true I have never seen one of the "typical" coffee pot type discs personally, a person very influential in my life I call my Mentor, of whom I originally began my study-practice under between my junior and senior years in high school and who himself had studied under the venerated Indian holy man the Bhagavan Sri Ramana Maharshi, observed an object of similar nature while traveling in the Himalayas in search of the Hemis Manuscripts. It is from his sighting I get the nomenclature "coffee pot lid." He told me what he saw after we ran across a poster in a book store one day regarding one of my favorite movies, The Day the Earth Stood Still. 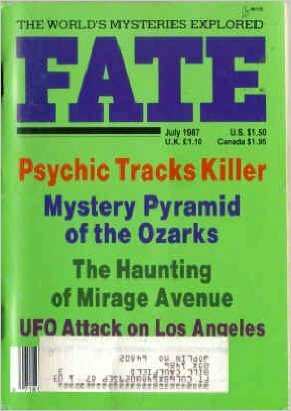 I brought up the fact that as a young boy I had gone with my uncle to Roswell because he wanted to see if there was any truth behind the so called Hieroglyphic Writing reported on some of the metal scraps --- and before that I had personally observed the giant airborne object of unknown origin that came known as the Battle of Los Angeles. "The three men went outside and beheld an awesome sight. In the eastern sky hovering over the nearest hill was an enormous dark object. "'It was shaped more or less like an inflated life raft,' Aslin recalled. 'The sky was crystal clear and it was a brilliant, star-studded night.' Aslin pointed out that desert living had made them accustomed to ambient stillness, but the silence they encountered that night was like being deaf. 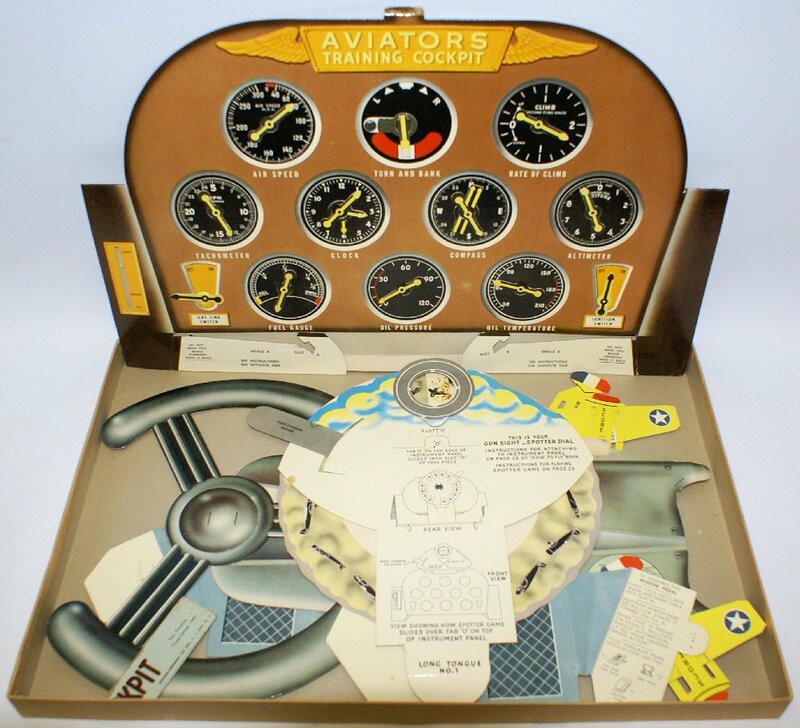 If you clicked the above Airplane Pilot Cockpit ad you would have learned that the cardboard cockpit toy wasn't made available to the public until November 6, 1941, roughly four months before the overflight of the giant object. Now I am not sure what the shelf life of a cardboard toy would be with a bunch of kids playing with it, but if was still usable after six months and I remember playing with it, it had to be right around the same time as the February 1942 event. Again, as far as Littleton and what I can or cannot remember relative to my ability to remember or not remember because of my so-said youth or young age at the time of the fly-over, a major key here is my total recall and remembrance of the square joystick as opposed to the circular or round steering wheel and when the square stick version formally becoming available (i.e., November 6, 1941, with the fly-over happening during the early morning hours of February 25, 1942, a little over three and a half months or 112 days in the separation of dates). 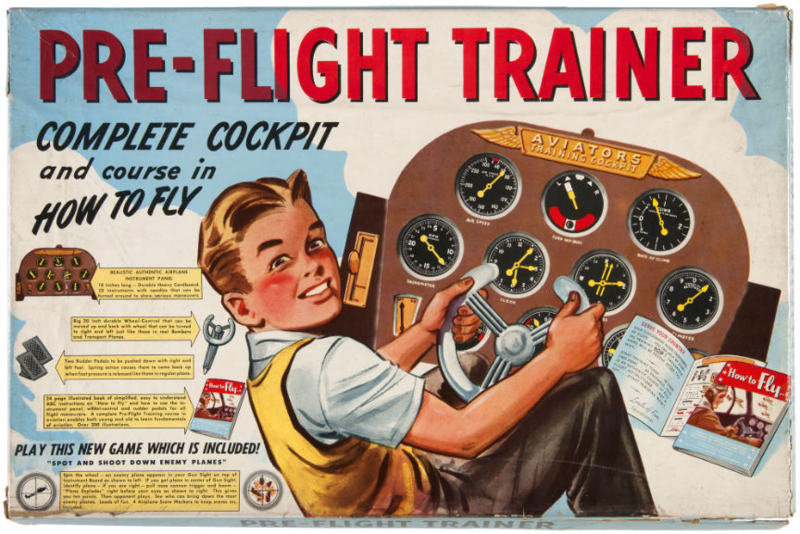 Now, while there is nothing to say my babysitter, Mary Lou, rushed right out and ordered the training cockpit on the very first day of availability, or if, when it arrived she ripped open the box, feverishly assembled it, and immediately I ran over and shoved her aside and started playing with it. There is however, easily at least a six month overlapping period during the same time frame that it all could have happened with me still being no more older than I was for all practical purposes. 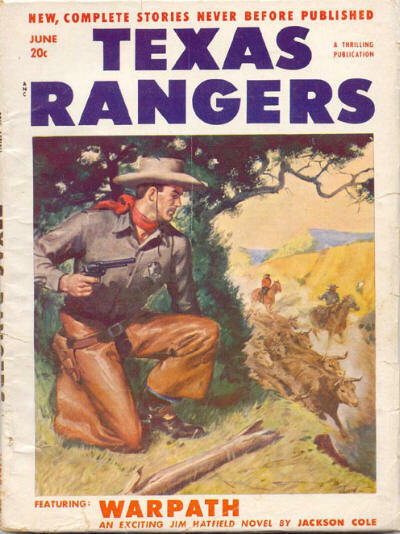 "(My father) seemed to spend an extraordinary amount of free time or late into the night reading pulp science fiction books like Amazing Stories or paperback novels of the old west, of which the ones about the old west were almost exclusively by L'Amour or Luke Short. I had perused lightly through books by both authors from time to time out of piles of books my dad had strewn around his place, and because he had insisted --- saying it related to my own experiences lost in the Mojave desert as a young boy --- I even read 'Mojave Crossing.'"